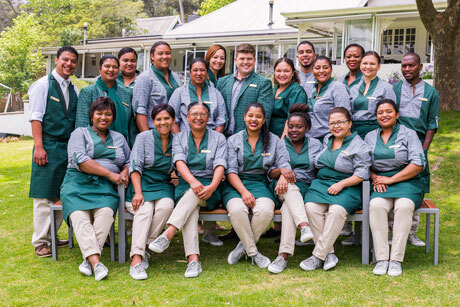 The feeling you get from visiting La Petite Ferme can be felt best when being looked after by the caring and loving hands of the waitron staff. The real heart and soul of La Petite Ferme is embodied by some off the waiters who have been working at La Petite Ferme for 21 years and counting. It has become more like a home away from home and the smiling faces is a testimony to that. Under the organized hands of the La Petite Ferme restaurant managers and caring waitron service you can always expect the top quality service you have come accustomed to at La Petite Ferme over the years. It is a well known fact that a chef is only as good as the team that surrounds him in the kitchen. And no one can argue against the truth of the age old saying that “if you can’t take the heat, get out of the kitchen.” This is way the restaurant at La Petite Ferme is in a truly fortunate position of having a group of kitchen staff who doesn’t just take the heat, they thrive under it. 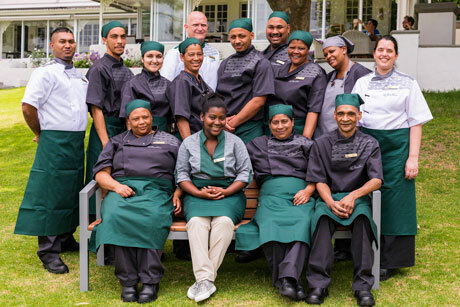 The kitchen staff at La Petite Ferme has grown into a family cooking together through all these years. Still keeping the high standards and quality you would expect at La Petite Ferme and continuously delivering exceptional flavour and that heart-warming feel to every dish. A combination you can only find from a team that has a family like bond, pride in what they do and love for each plate they have served over the years to show the heart and soul of La Petite Ferme to each guest. A former parachute battalion soldier, Kyle turned his hand to the kitchen almost two decades ago. His talent quickly became apparent. 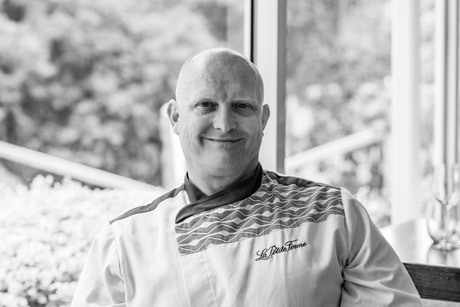 He rapidly ascended through the ranks of numerous four and five-star properties in South Africa and abroad, including Tsogo Sun's Beverly Hills hotel in Umhlanga Rocks and most recently, as Executive Chef, at Twin Waters - the first premium, multi-dining and entertainment centre of its kind in Nigeria.